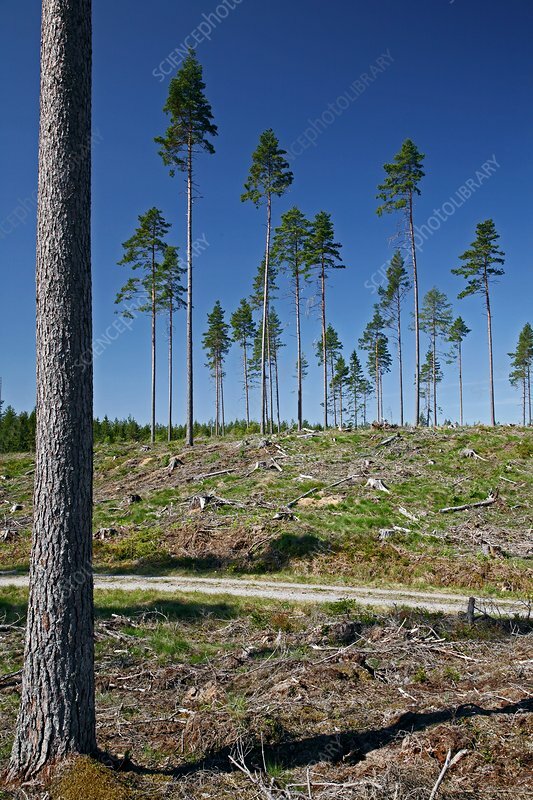 Pine plantation. Some of the trees are left to re-seed the plantation. Photographed in Narke, Sweden,.